About 3 years ago I was commenting (in the Ladies’!!) to a lady about my age whom I had just met that my hair was becoming very thin – unlike hers. 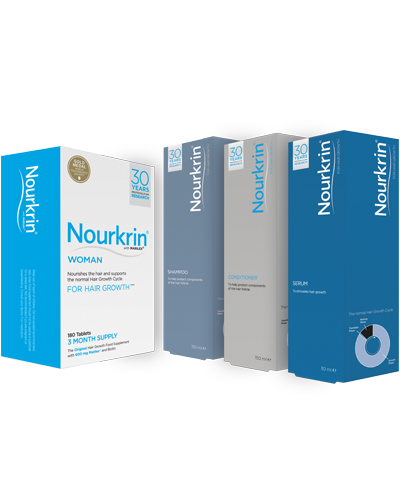 She told me what a difference Nourkrin® had made to her hair, and advised me to buy it online if I were going to try it. It was amazing! I didn’t tell my hairdresser at first – until she commented about 2 months later that my hair condition had massively improved! I kept up the treatment for 6 months and saw dramatic improvement. 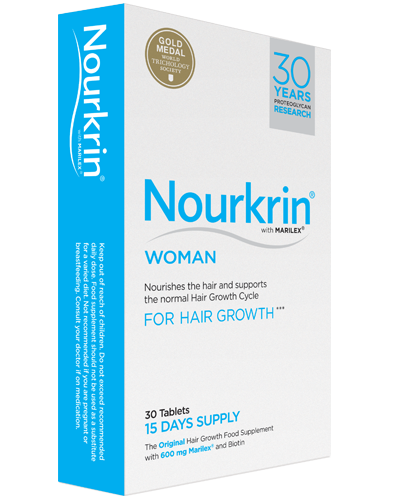 About 3-4 months ago I noticed that my hair had become very thin again, so started on Nourkrin® 5 weeks ago. I was a little hesitant as I am on medication for blood pressure, but have noticed no ill effects, Two days ago my hairdresser said my hair had grown very fast….so I told her my “secret” again! Then as she cut my hair, she exclaimed, “You have new growth at the front and on the crown!” I was really pleased as I didn’t expect to have visible results so soon!